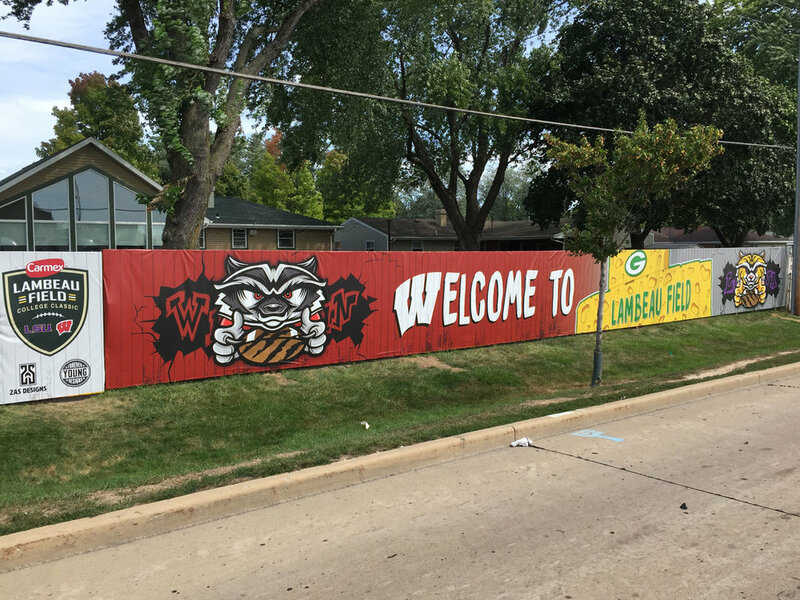 The Wisconsin Badgers and LSU Tigers opened up the 2016 football season at Lambeau Field in Green Bay, WI. 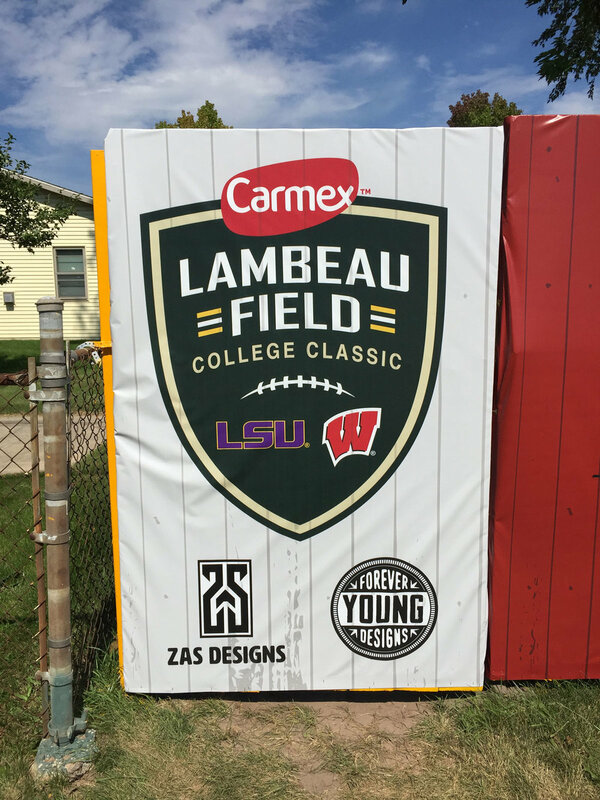 Spencer Young and I partnered up with Carmex to make a one-of-a-kind mural for the game to go on the #PackersFence which is located directly across the street from the Lambeau Field Atrium. The mural was digitally illustrated by Spencer and myself and then printed on industrial canvas which we then fastened to the existing fence. We installed the mural in the middle of the night the Thursday before the big game, the final size of the mural was 70ft by 6ft. Spencer illustrated the Wisconsin and LSU Mascots and I did the Lambeau Field cheese facade. Fans from both teams were able to pose in front of the mural to take pictures and we believe that it helped elevate the whole fan experience of that weekend.